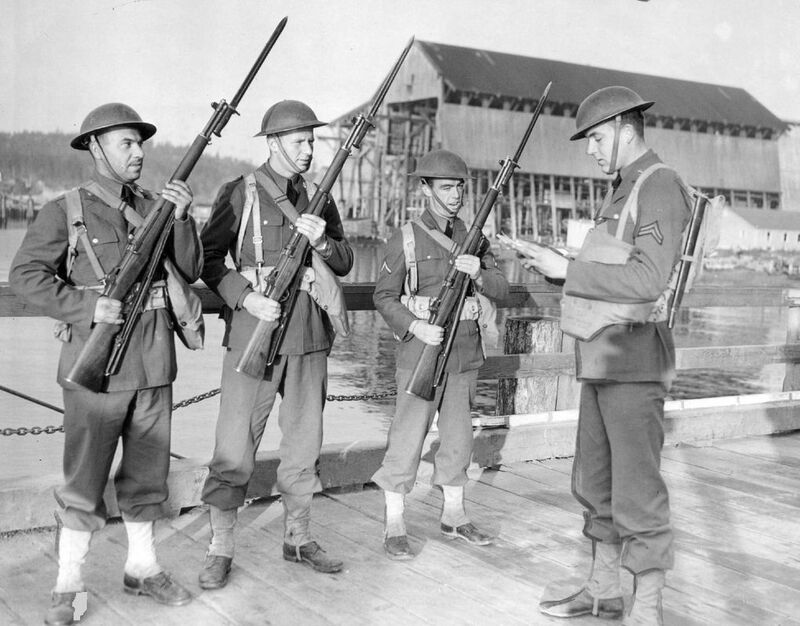 The 227 Bainbridge Islanders were the first to be removed from their homes on the West Coast. Bainbridge Island was the first place on the West Coast where people of Japanese ancestry were forced to leave their homes. 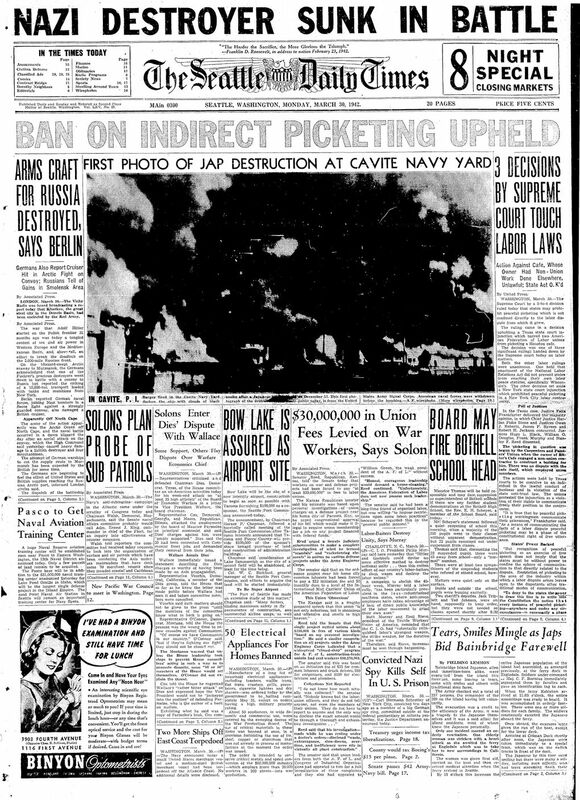 The hostility toward Japanese people in the Puget Sound area grew after the Dec. 7, 1941, attack on Pearl Harbor. All Japanese, Germans and Italians older than 14 had to register — their photos taken and fingerprints recorded — with the Department of Justice, as announced in a proclamation issued by President Franklin D. Roosevelt in January 1942. Days later, The Seattle Times asked Seattleites what should be done, if anything, about people of Japanese ancestry in the area. For some, the blunt answers used words that became racial slurs as the language of wartime evolved. The hateful rhetoric directed at Japanese 75 years ago is similar to what is heard today against Muslims, members of the black community and immigrants, said Tom Ikeda, the founding director of Densho, an organization that chronicles the internment of Japanese during World War II. 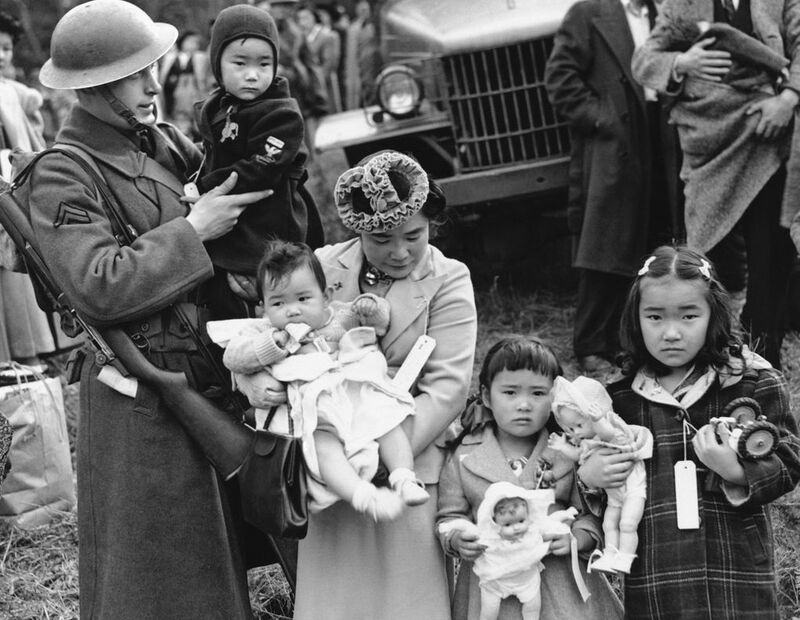 “What we saw was it didn’t start with the camps, it started with these other steps and having this hateful rhetoric early on against Japanese Americans,” Ikeda recently told the Times. 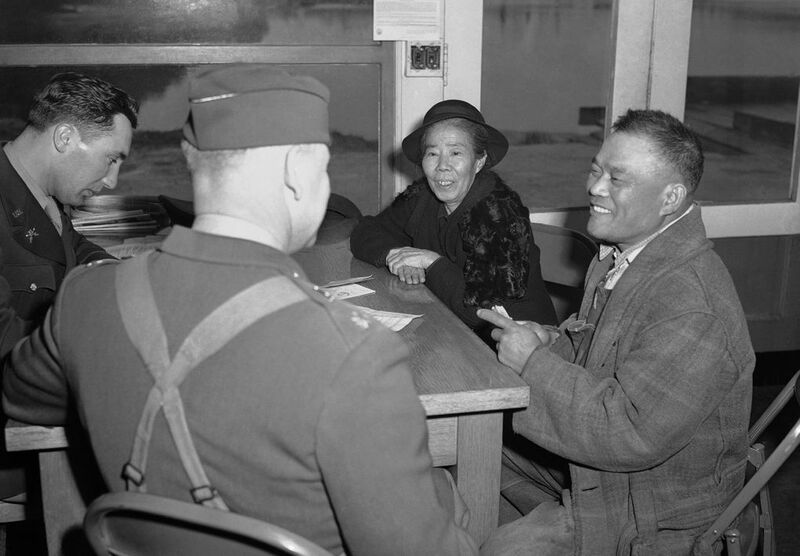 On Feb. 19, 1942, President Franklin Roosevelt signed Executive Order 9066, paving the way to remove residents and citizens with Japanese ancestry from their homes near military zones and move them into internment camps. Two weeks before the executive order was signed, the FBI in Seattle declared that any Bainbridge Island Japanese person with cameras or firearms would be taken into custody. H.B. Fletcher, in charge of the Seattle FBI office, went to the island with fellow agents in more than a dozen automobiles to question the families. 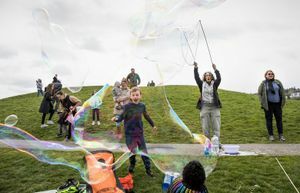 Contraband was taken and 35 people were arrested on the island, while 13 of them would eventually be sent to camps, according to the Bainbridge Island Japanese American Community website. 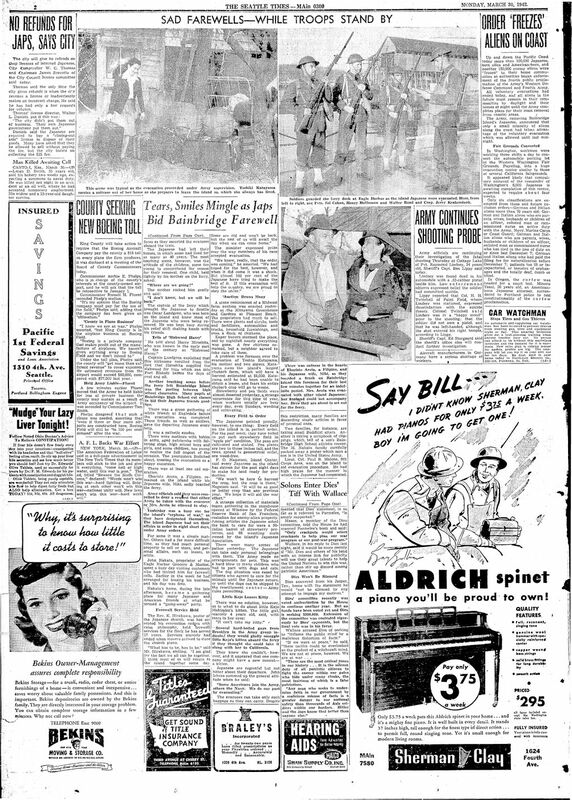 The Times asked if the Feb. 4 declaration was in preparation for evacuating Japanese from the island, but Fletcher had no comment. These were people who were immigrants and descendants of immigrants who came to Bainbridge Island in the 1880s and by the 1930s were part of the island’s largest industry, strawberry farming. 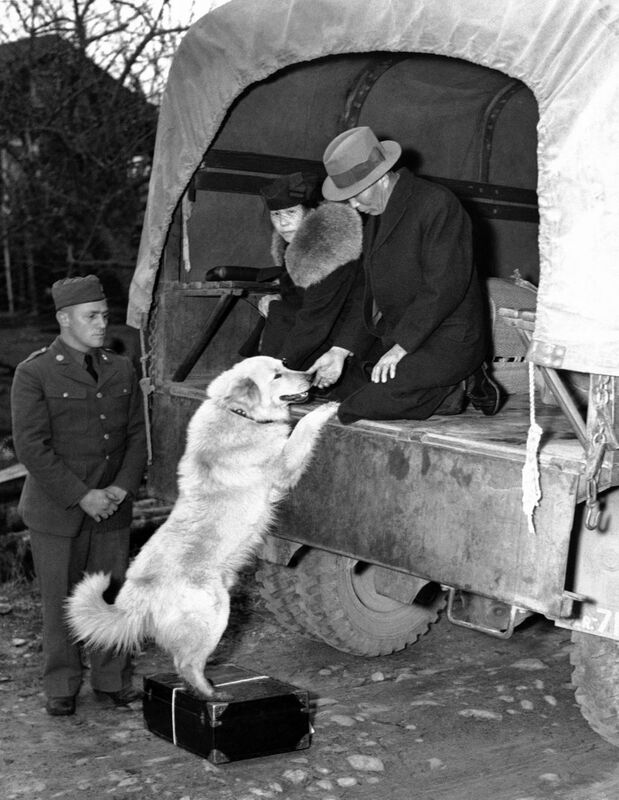 On March 24, 1942, Lt. Gen. John L. DeWitt signed Exclusion Order No. 1 decreeing that all Japanese must leave Bainbridge Island. 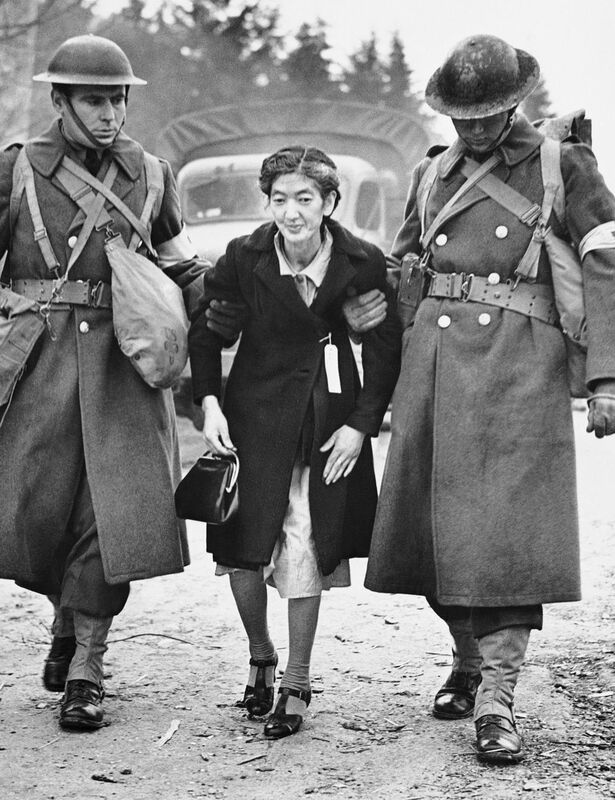 A Seattle Times story described it: The Japanese undergoing evacuation with good-natured acceptance. 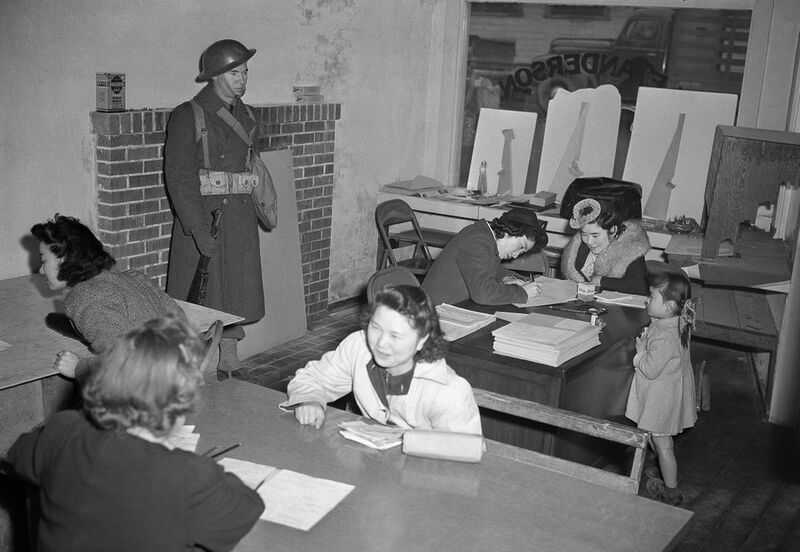 The Bainbridge Japanese were “wistful and willing” to register at the evacuation center at the old Winslow dock as described a March 25, 1942, Seattle Times story. The evacuation center was guarded by armed infantrymen. One couple tried to learn their fate while attempting to register. Evaristo Arota, of Filipino descent, and Miki Arota, his wife of Japanese descent, attempted to find out if she had to leave the island. She was registered, but her status was not known that day. 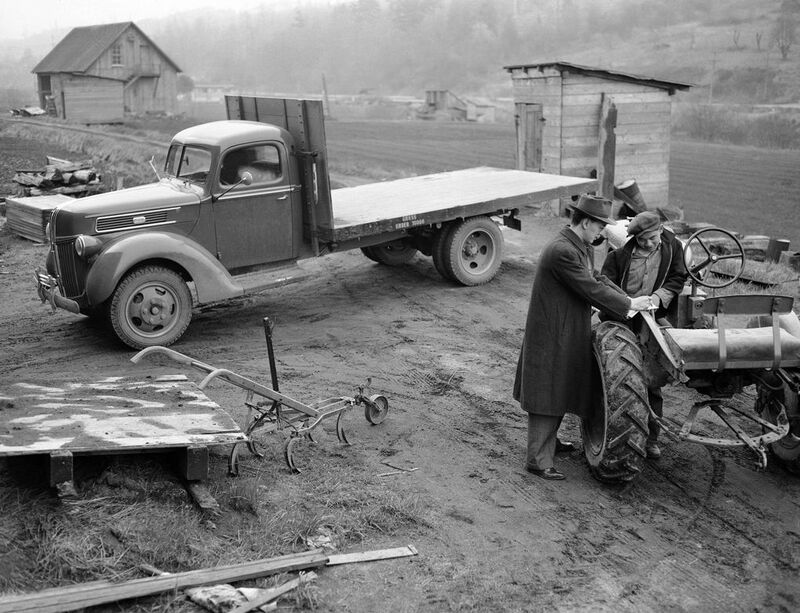 The Bainbridge Islanders were given six days to pack. 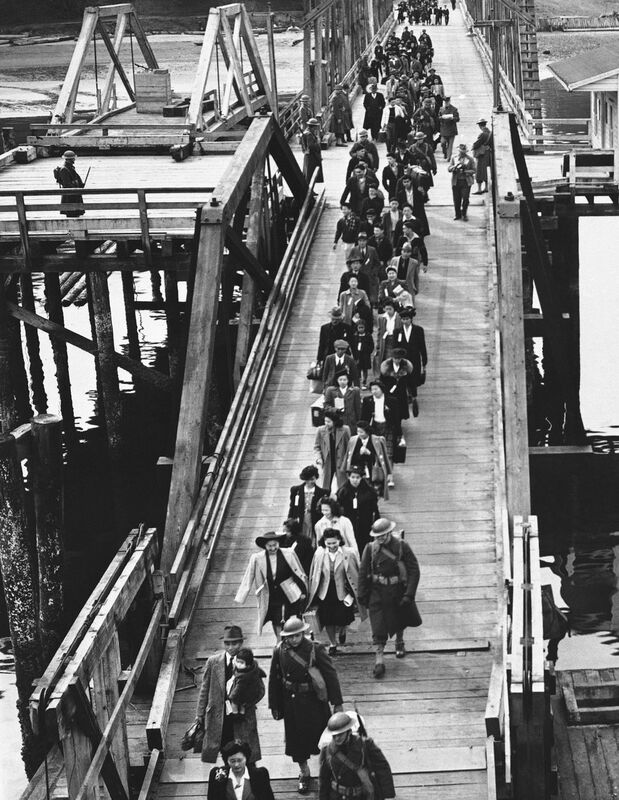 On March 30, 1942, 227 people left Bainbridge Island on a ferry, being allowed to take only what they could carry. Times reporter Fielding Lemmon described two families taking small Buddhist altars and another taking a scrapbook of their son’s athletic career at Bainbridge High School. “There were mothers with babies in arms, aged patriarchs with faltering steps, high school boys and girls, and some children too young to realize the full import of the occasion,” Lemmon wrote. 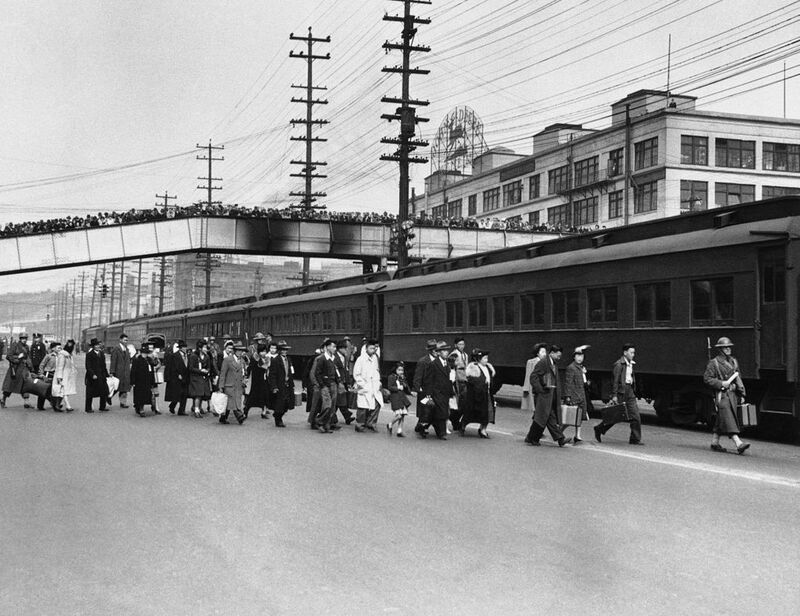 The Bainbridge Islanders were ferried to Seattle, where they were put on a train to Manzanar, Calif., and eventually some made their way Minidoka, Idaho. 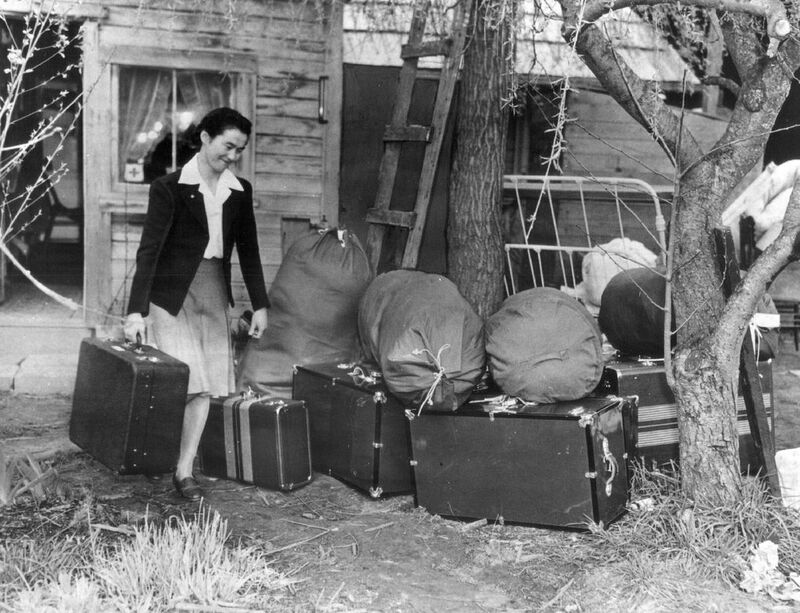 Almost 13,000 people of Japanese ancestry from Washington were sent to camps. Walter and Milly Woodward, the owners and publishers of the Bainbridge Review, were one of the few who editorialized against internment. Their work can be read online at the Kitsap Regional Library. In 1988, President Reagan signed the Civil Liberties Act of 1988, which gave $20,000 to each of more than 82,000 surviving internees, along with an apology.